SWAC's membership with the Northeast Resource Recovery Association (NRRA) entitles schools to access services available through NRRA's School Club. Information on the School Club can be found at: http://www.schoolrecycling.net/. You will find information about recycling, composting, lesson plans, activities, newsletters, fundraising, and many other useful tools for your school. In addition, the CLUB offers Workshops and Technical Assistance Trainings that schools may purchase for their students. Your school will receive a reduced price on services courtesy of the SWAC membership. You can email questions to The Club at theclub@nrra.net. 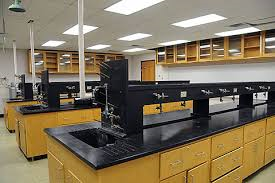 SC HOOL SCIENCE LAB ASSISTANCE - The Vermont School Science Lab Safety Team (VSSLST) was established to help schools reduce their risk by helping them to work towards better chemical management and overall science lab safety. VSSLST is a group of individuals from the VT Department of Environmental Conservation Environmental Assistance Office, the VT Department of Health, the VT Department of Public Safety, VT School Boards Insurance Trust, VOSHA and the VT Agency of Education. Science and art chemicals can be dangerous. They need to be stored and disposed of correctly to protect everyone’s safety. As chemicals age, they can become more hazardous. Storing excess or unknown chemicals poses an additional risk. EAO can come to your school to assist you with your chemical inventory, storage and disposal, general safety in the lab and Chemical Hygiene Plan at NO COST. The school only needs to pay for the cost of disposing of unwanted materials. For assistance or to schedule a time for us to come to your school, email EAO at lynn.metcalf@vermont.gov. 3. Agency of Natural Resources Universal Recycling Assistance for Schools.